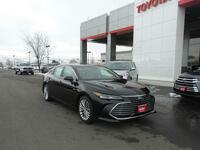 Customers in the Pocatello area who are searching for an excellent sedan that is not only stylish and fuel efficient but also offers excellent fuel economy should consider checking out the 2019 Toyota Avalon. The 2019 Toyota Avalon is one of the best vehicles that has been released for Toyota's 2019 model year. 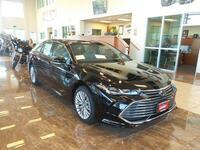 Stop by Phil Meador Toyota in Pocatello, ID to check out the great features of the 2019 Avalon for yourself today! Here at Phil Meador Toyota, we pride ourselves on providing our customers with excellent customer service. 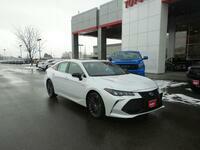 We want to make the car-buying process run as smoothly as possible. We achieve this goal by offering our customers pre-approval for financing online and excellent financing options through reputable institutions. Contact us for more information today! If you interested in learning more about the excellent features and engine performance of the 2019 Toyota Avalon, stop by Phil Meador Toyota in Pocatello, ID to speak with our excellent sales team today! 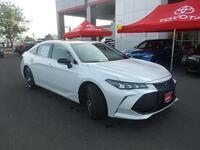 Our team is more than willing to answer any questions that you have concerning the 2019 Avalon or any of the other great Toyota models in our inventory. Stop by Phil Meador Toyota to test drive the 2019 Toyota Avalon today!